The long anticipated re-location of the Lismore Regional Gallery is now complete. 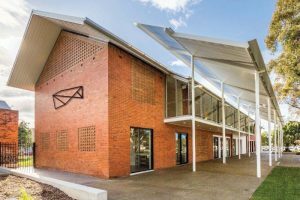 Thanks to funding from the Federal Government’s National Stronger Regions Fund, and a donation of $500,000 from the Margaret Olley Arts Trust, the new gallery space is due to open over the weekend. The new building features climate controlled gallery and storage spaces, bespoke gallery lighting, a loading dock, café/bookshop and dedicated workshop, event and Artist in Residence spaces. 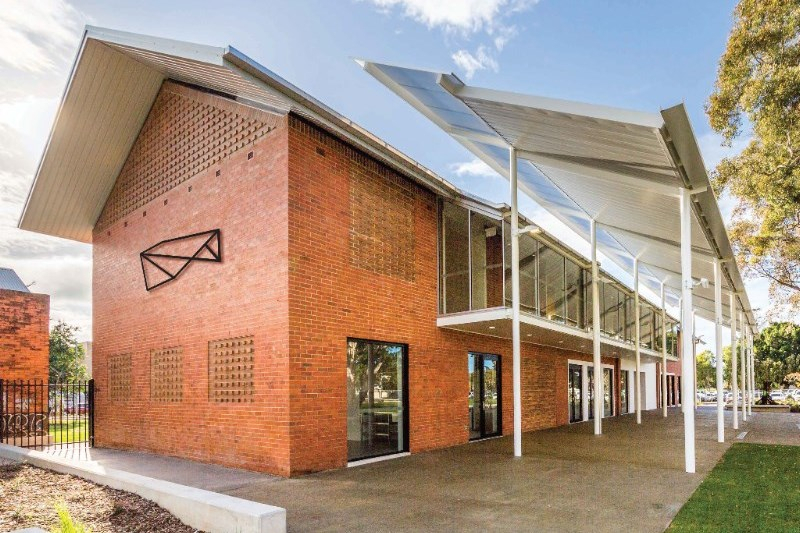 An outdoor public space also connects the gallery to the Northern Rivers Conservatorium and the Lismore Library, creating a cultural hub for the region. The public are invited to attend the official opening event. An art activation with The Artkeepers (Special Art Agents Mona & Lisa), along with artist René Bolten, working to secure the return of our much loved tour guide Peggy Popart and works that have gone missing with her. Please bring an object from your life to add to our still life installation. Accompanied by local band, Mirth. To be officially launched by Mr Kevin Hogan MP, Federal Member for Page with The Hon. Thomas George MP, Deputy Speaker, Member for Lismore; Isaac Smith, Mayor, Lismore City Council and Edmund Capon AM OBE, Trustee, Margaret Olley Arts Trust. Smoking Ceremony by Gilbert Laurie. The Gallery has a long relationship with this local electronic band of mixed abilities, first having them perform in 2011. Since then they have toured the world and become local legends. 7.15pm Performance by Romaine Moreton and Lou Bennett (from Tiddas) with a new work drawing together poetry, moving image, and an original score performed by Moreton including words from Nina Simone’s song, Four Women. A staggering new theatre work that draws together poetry, moving image and an original score performed by Romaine and Lou inspired by the Nina Simone’s composition, Four Women. A political, courageous and resonant work providing an Indigenous perspective on the treatment of Aboriginal women.